First of all, here is my "filled out" monthly spread from June. 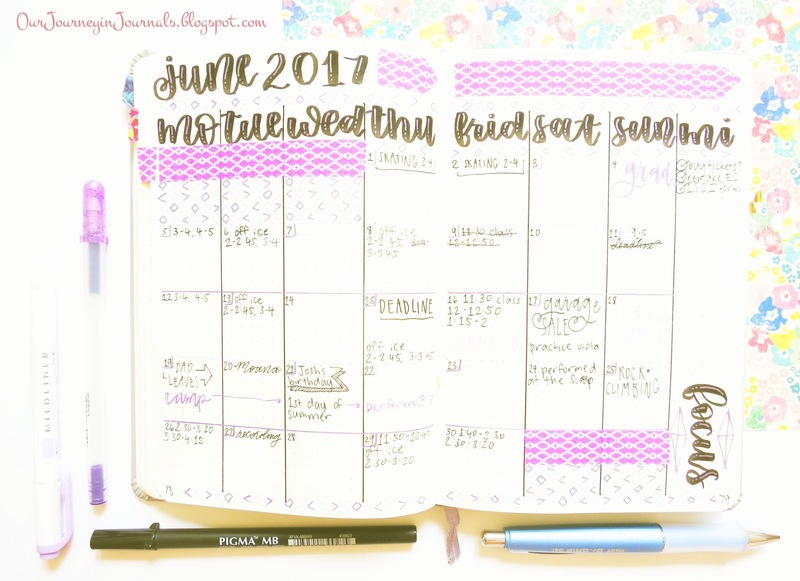 As you can see (especially if you compare it to past completed monthly spreads during the school year, such as April 2017), I didn't have a lot of stuff going on. In fact, I only did daily spreads about half of the time. 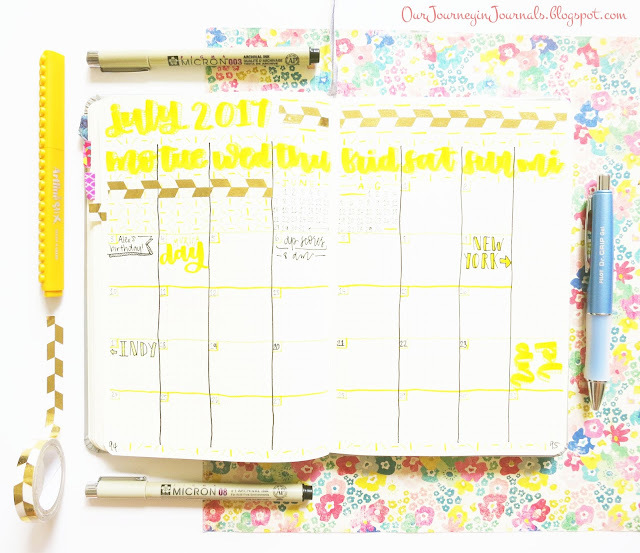 Last year during summer break, I did weekly spreads instead of dailies (scroll all the way down to the last picture). 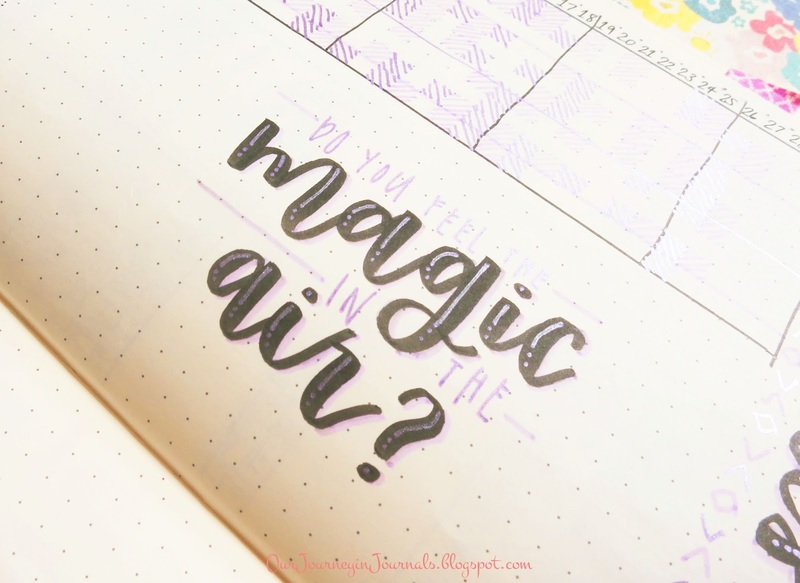 I might try some next month (since I feel like having pre-made spreads will make me feel more obligated to be productive), but I've justified not using them so far because the amount of tasks I have vary widely from day to day. Anyway, here is my newly made monthly spread for July! 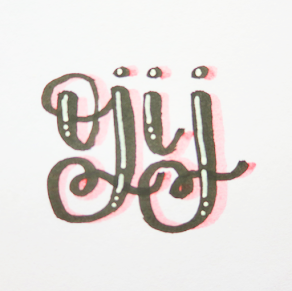 I've been loving this style of lettering in the past month (mainly inspired by @SnowyStudies on Instagram, I believe), and since I had been using it a lot in my various journaling headers, I decided to use it as my general theme for the month of July. In general, I went with a yellow/gold sort of color scheme. As for the specific supplies that I used for this month's setup, I used a yellow Artline Stix Brush Marker, a Sakura Gelly Roll Stardust gel pen (the color #703), Sakura Pigma Microns in the 08 and 003 sizes, and a roll of gold washi tape from Target (and speaking of washi tape, this is my whole collection as of June 2017; I may have a small problem with stationery hoarding). Also, I would like to explain the weirder bits of my monthly setup; this is the same exact setup that I've been using for the past months (and a general concept that has not evolved too drastically since I started a bullet journal). The "mi" column on the far right stands for "miscellaneous", and I use this space for any sort of important notes that I want to be able to find at a glance, tasks that I want to complete sometime throughout the month, and any other sort of random stuff. The box underneath it (which says "plan"), is reserved for my big focus for the entire month. As you can probably tell, something I want to focus on for the entire month of July is using my bullet journal more so that I can focus on important stuff and get more things done. July 2017 is weird in that if you use a Monday start for the month, the 31st of the month is on its own in the 6th row of the month. I couldn't stand doing that (because then I would have to make each row of the week shorter), so I instead just stuck July 31st in the space that I use for the monthly goal (usually, the monthly goal section is twice as big as it is in this spread). It's a little weird, but it works, and it doesn't look all that bad. 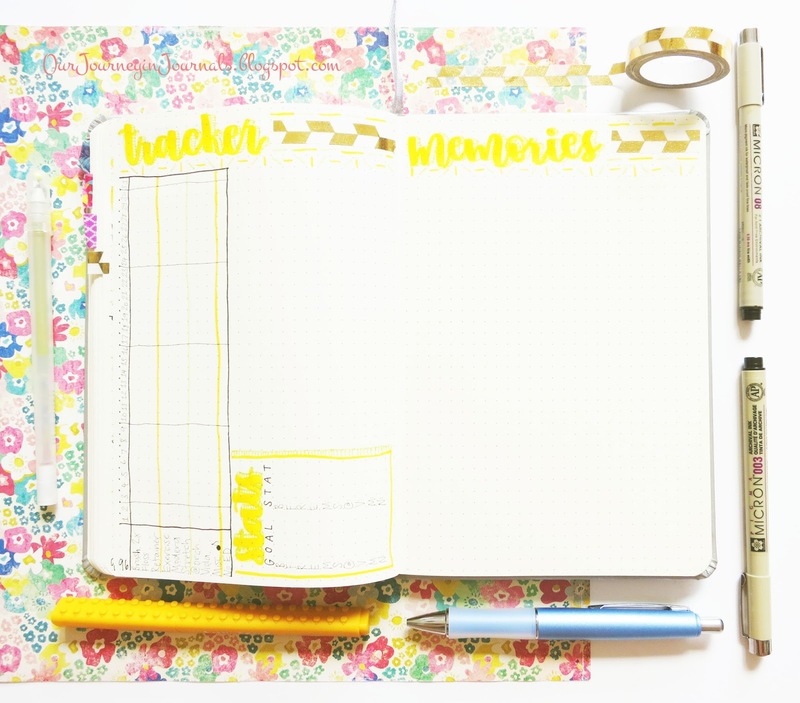 After my monthly layout, I set up my monthly habit tracker spread and my monthly memories spread. I have a "stats" box on the same page as my habit tracker so that I can set goals for each habit using the statistics from the previous month's tracker spread, and I also tally each one up when the month ends to see if I actually met my goals. Of course, since June isn't over yet, I can't set my July goals yet. 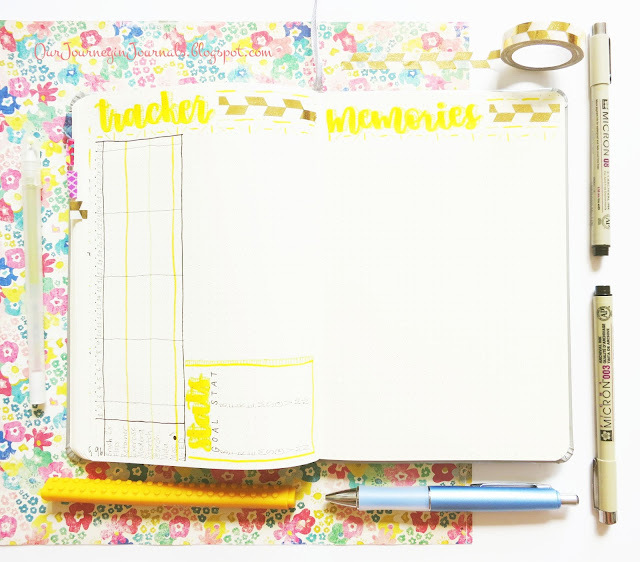 My monthly memories spread is to the right, and that's another spread I do at the end of the month. 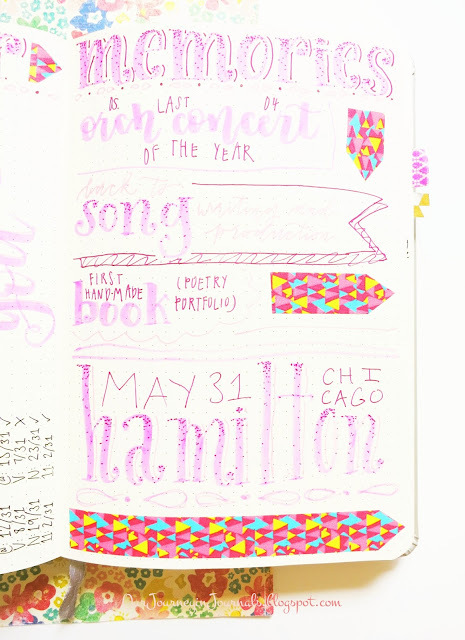 I usually keep a sticky note on the page to keep track of all of the major moments throughout that month, and so when July ends, I can easily hand-letter all of the big memories from the month as a way of pretty memory-keeping in my bujo. Another thing I do at the end of the month in my habit tracker spread is letter some sort of song quote in the blank space since music is such a huge part of my life. It's from a song or album that I've been listening to a lot throughout the month - a lyric that has been with me because sometimes, certain music is what defines different parts of my life. For June, I used a lyric from an original song (titled "Magic in the Air") since I finally got back into songwriting after the busyness of the school year, and this is possibly one of my favorite songs (if not maybe the favorite song) that I've ever written. I think this is the best of the song lyric habit tracker quotes that I've done, and it truly brings justice to the beauty of the song itself! Well, at least in my not-so-humble opinion. In my setup posts, I also try to include my bujo monthly memories spread from the previous month. Of course, since June isn't over yet, I can't do that. So instead, here is May's! It actually turned out a lot better than I thought it would, and that's always a nice feeling. 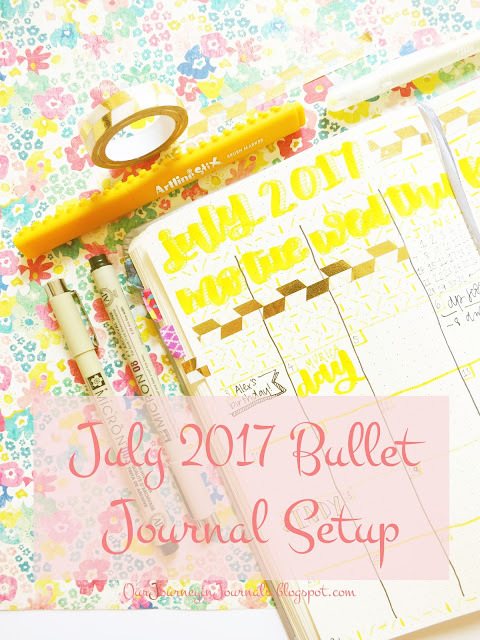 Anyway, that's it for my July bullet journal setup! Though I still want to be productive (especially since I have summer homework, which is unfortunate), I hope that I can enjoy the rest of my summer break and my (relative) lack of responsibility. If you looked closely at my monthly spread for next month, then you saw that I'm going to New York, specifically New York City, for about a week! If you know any specific stationery/art supply shops or any calligraphy-related places that I should visit, please let me know! !